Since its birth back in the late 70s, Hip Hop has cemented its status as one of the most popular music genres in the world. Its flawless combination of rhythm, soul and rapping has gone on to inspire many other musical genres, which we learnt when we explored the history of Hip Hop. Looking back over the past 40 years or so, what can be seen is how Hip Hop itself has been influenced by different genres. Artists like Drake are now embracing more mellow, soulful sounds, moving away from the old-school Hip Hop of the 70s and 80s and away from the ‘golden age’ sound of Hip Hop in the 90s. We love that Hip Hop is becoming more eclectic than ever. You can view our vast range of Hip Hop samples from different eras and from across the world. 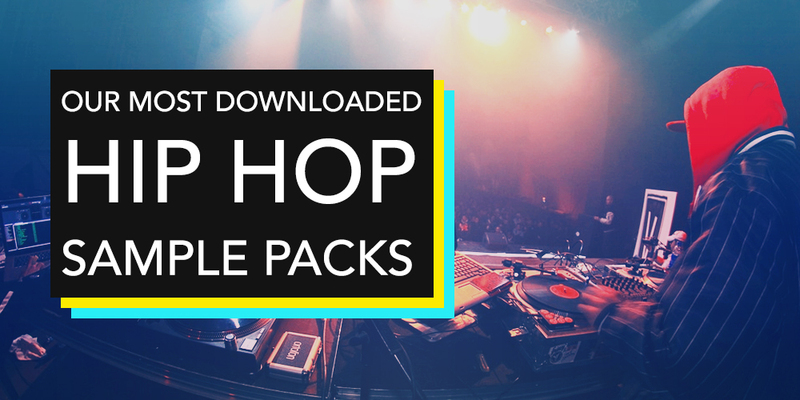 The evolution and different styles of Hip Hop beats are evident in our most downloaded Hip Hop sample packs, moving from symphonic sounds through piano melodies and booming 808s. 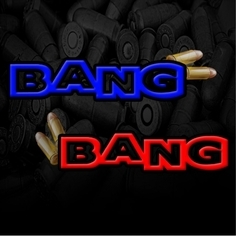 Recently, Hip Hop has seen a massive surge in popularity; in fact, for the first time ever in 2017, R&B/Hip Hop surpassed rock to become the most popular music genre in the U.S.
Just making it onto the list is 'Bang Bang' from Misfit Digital. The pack contains five booming Construction Kits made in the style of up-and-coming rapper, Chief Keef and super producer, Young Chop. These Kits are filled with ambient arps, heart-stopping chords, booming 808's and ear-grasping snares. 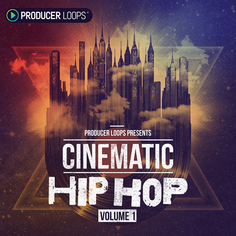 Next up is 'Cinematic Hip Hop Vol 1' from Producer Loops. This is the first in a Block-busting series of deep, dark and brooding Construction Kit libraries fusing the very best in modern Hip Hop with epic soundtrack vibes. Combining traditional Urban instrumentation with ethereal textures, emotive sound design and dramatic overtones, this genre-defying release is perfect for everything from advertising campaigns that need a serious Urban edge, through to soundtracks and standalone Hip Hop releases. 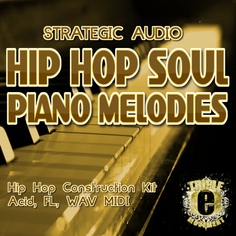 Coming in at number six is 'Hip Hop Soul Piano Melodies' from Strategic Audio. This pack features five authentic, piano-driven Hip Hop Construction Kits inspired by the music of artists like Common, Alicia Keys, The Roots and Melanie Fiona. 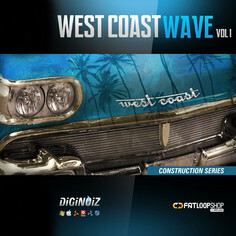 'West Coast Wave Vol 1' is next, the debut sample pack from Diginoiz. It features 10 great Construction Kits inspired by the hot climate of West coast America. High-quality loops, hits, and percussion samples in tempos from 89-97 BPM will satisfy even the most demanding producers. 'Cinematic Hip Hop Vol 2' is the second instalment in this epic, silver screen-esque series of Construction Kits from Producer Loops. Following in the footsteps of its immensely successful predecessor, this Volume features all the dark instrumentation you need to dominate the dark Hip Hop scene. 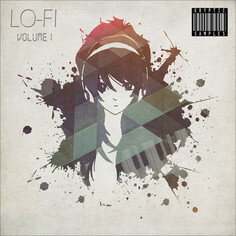 Just making it into the top three is 'Lo-Fi Vol 1' from Kryptic Samples. It is the first release of this soulful, laid-back Hip Hop series, made with hand-crafted nostalgic and dusty samples. Authentic and old school. 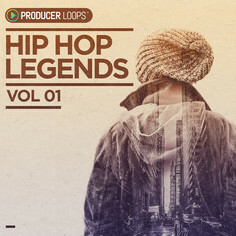 At number two, 'Urban Legends Vol 1' from Producer Loops fuses elements of EDM, Pop, RnB, Trap and Hip Hop to bring you five highly polished Construction Kits with an authentic Urban undertone.The loops in this pack have applications far outside of strictly Urban music and can be re-combined in a near-limitless number of ways. 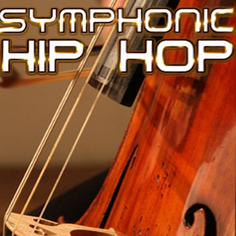 Our most downloaded Hip Hop sample of all time is ‘Symphonic Hip Hop’ from Bunker 8. A huge 5.4 GB Construction Kit that merges powerful symphonic arrangements and orchestrations with blockbusting Hip Hop rhythmatics. There are 347 seriously hot loops here, waiting for your next urban blockbuster.